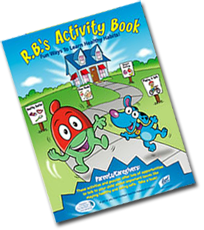 Get a FREE Activity Book For Kids From Lysol. You should receive your copy by mail in approximately 6 to 8 weeks. This is still available to order, just in case you missed this. thank you.my grandkids will love this!! It says maximum 5 for parents and 30 for teachers. Do you have to put each individual name in our do they send you 5 or 30?